A professionally printed on-brand plastic card is a powerful marketing tool which helps to keep your organisation top of mind with your clients. Backed up by a well thought out rewards programme, issuing plastic cards with full colour plastic card printing can help to generate increased revenue and help you to target your customers more effectively. We use standard Pantone colour matching to ensure your company or club colours are matched to, we also provide metallic and other special effects to make your cards stand out. For cards without magnetic stripes Ecardz can support any number of creative designs, shapes and sizes, so if you are wanting something a little bit different don’t hesitate to give us a call! 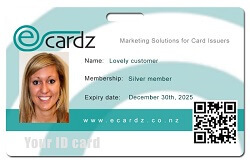 PVC cards provided by Ecardz are finished in gloss laminate with the printed design protected by a clear layer which gives the cards durability as well as an attractive finish. 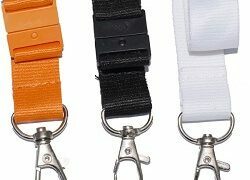 PVC cards can be overprinted with your cardholder details in a variety of colours and fonts. Photos can also be added when a higher level of security is required. 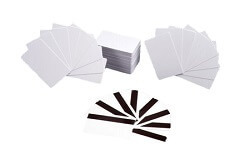 Ecardz supplies all types of plastic cards, for membership cards, gift cards or ID cards starting with plain white PVC cards which have optional Hico 2750 Oe magnetic stripes (financial standard) and/or white signature panels. 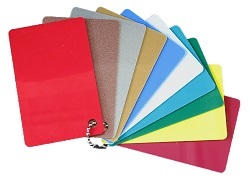 Our coloured PVC cards come in a variety of bright colours, including metallic shades and fluro shades. 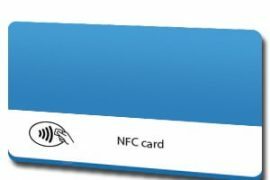 With our smart card printing technology we can even do runs of your own specified colour. 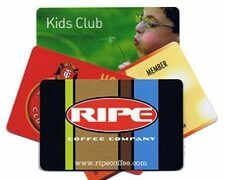 For more see our plastic card printing capabilities. To save costs and have total control over your ID cards, plastic cards, membership cards printing, you can buy one of the id card printers we deliver across New Zealand. 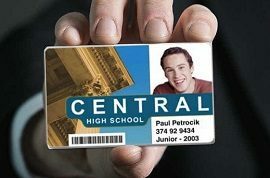 Custom printed PVC cards can be printed to your own design and specifications. Full colour photographs or art will be reproduced faithfully and Pantone colours will be followed if supplied. 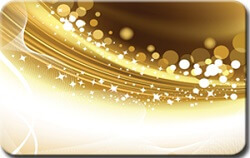 We can include metallic inks and holographic stamping to add authenticity and to achieve the look you are wanting. 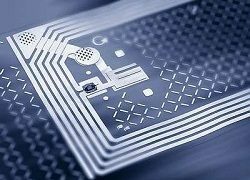 Smart cards are included in the range, we supply a number of commonly used contact less cards, including Mifare 1kb and Mifare 4kb. Our contact card range includes SLE4432 and SLE4464. Other chip types may be supplied on request. Our ISO standard cards are also used to overprint colourful and on–brand identification cards for many companies and organisations, as well as for local and central government departments. 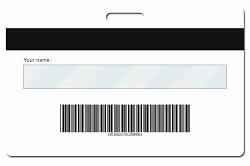 Functionality can be enhanced by adding barcodes or magnetic stripe encoding data to the basic cardholder data and photograph which appear on the front of the card. 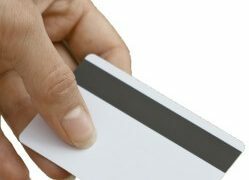 Give us a call today to discuss all possibilities with plastic cards.